The Milwaukee® Fixed Blade Hawkbill Knife is ideal for stripping wire and cable. The stainless steel blade is optimized to stay sharper longer and a full metal tang provides durability for tough cuts. The oversized ergonomic handle is designed for comfortable use with gloves. A durable molded sheath provides easy carry and storage. 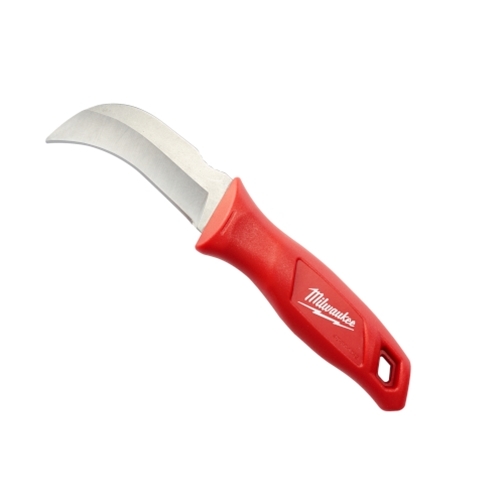 Milwaukee Hawkbill Fixed Blade Knife has a rating of 4 stars based on 1 review.